Doleni and some of her children. 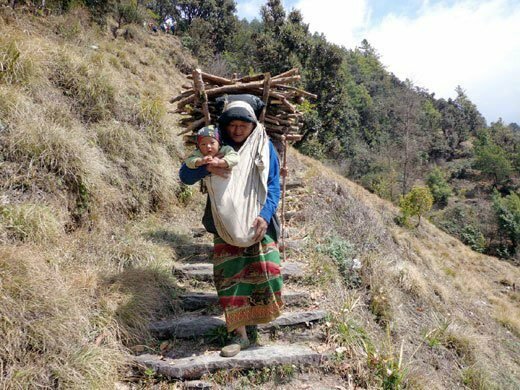 Giving birth in Humla is a risky business. Doleni Sunar, a mother aged 46 years, has had 6 children but 2 died. After each delivery she suffered poor health and did not have enough food to keep herself and her child healthy. Traditional beliefs meant she got little or no support while pregnant and only after the birth did family members rally round to help and advise. She is very grateful for the services provided by the Trust and for the way it is improving the local health service and current systems. 2019 promises to be a significant year of change for the Nepal Trust's community health programme and also we hope for the long-term delivery of healthcare into the Hidden Himalayas. We have recently launched two major initiatives, the longer objective of which is to engage the local communities and local government in taking ultimate responsibility for the sustainable delivery of the community healthcare programme. The wider catalyst for change has come from the changing horizons in Nepal with, following recent elections, local district governments being given more responsibility and budgets (plus discretionary decision-making authority) for healthcare. 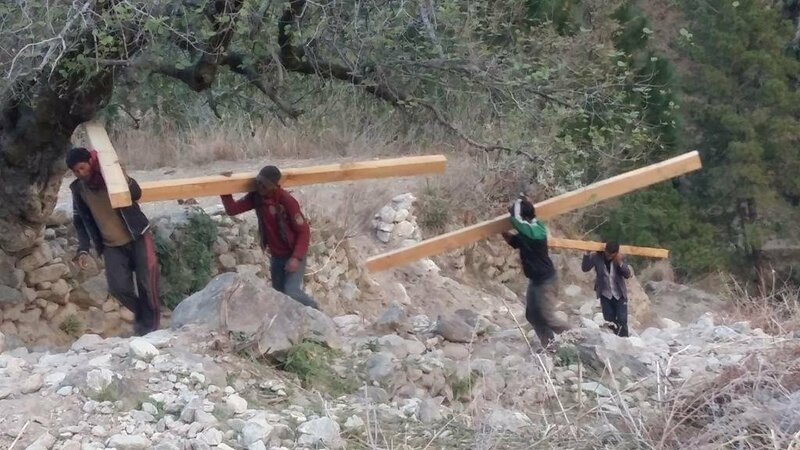 The immediate catalyst for change is the support we have received from the Wilde Ganze Foundation in Holland to build 3 new health posts in south Humla District at Maspur, Piplang and Tumcha rural municipalities (RMs). This is a major project and one in which we engaged with the local government, through the District Health Officer’s (DHO) office in Simikot, in the selection of location and sites for the construction work and, crucially, have agreed that these new clinics once constructed will be adopted as government health posts, effectively replacing old building units that are no longer fit for purpose. Government healthcare workers and Nepal Trust healthcare workers will operate from the clinics, reflecting the model of co-operation that we have already established at our health post in Sarkegad. 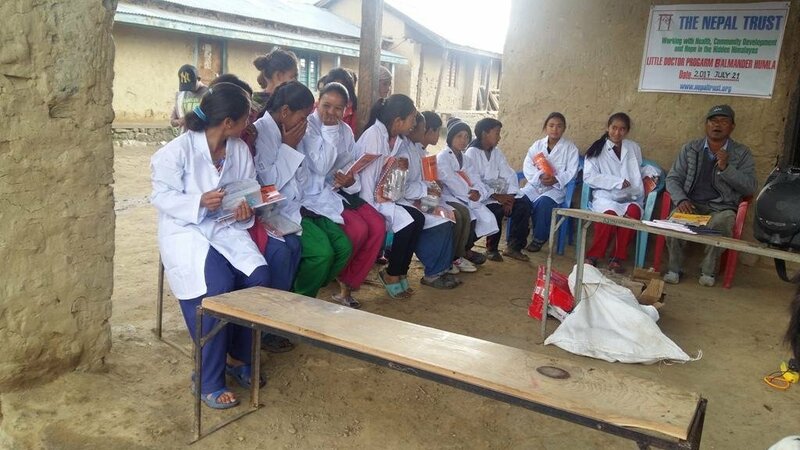 Elsewhere we have engaged a local NGO, SHIP Nepal, which is based in Simikot, to take over the day to day management of the delivery of our health programme at the Bargaun, Sarkegad, Kermi, Yari and Halji clinics. Responsibility for the overall strategy and financing of the programme will remain with the Nepal Trust but responsibility for the local management of the programme will be transferred to a local healthcare manager working for SHIP. The NT healthcare workers will also be engaged by SHIP. 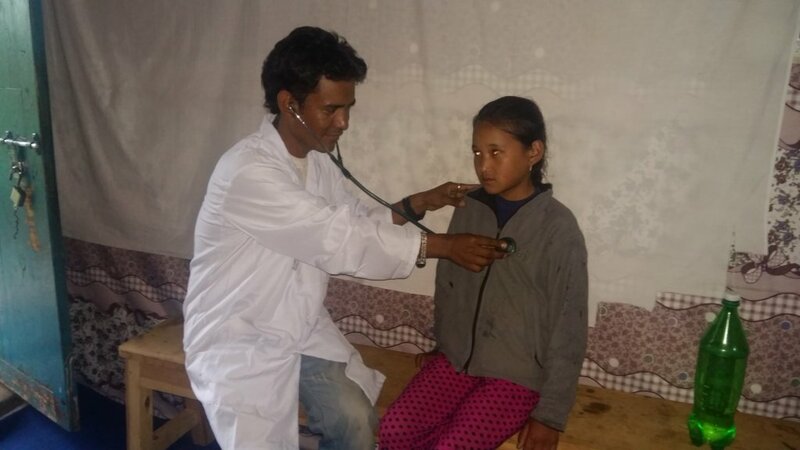 A key objective and responsibility being transferred to SHIP is that of engaging with the DHO to have the 5 NT clinics in North Humla adopted as community health posts and brought into the local healthcare programme. We see this transition as a medium-term objective and one that we hope to complete within the next 5 years. In the mean time we remain responsible for funding the healthcare programme that costs in excess of $70000 per annum. 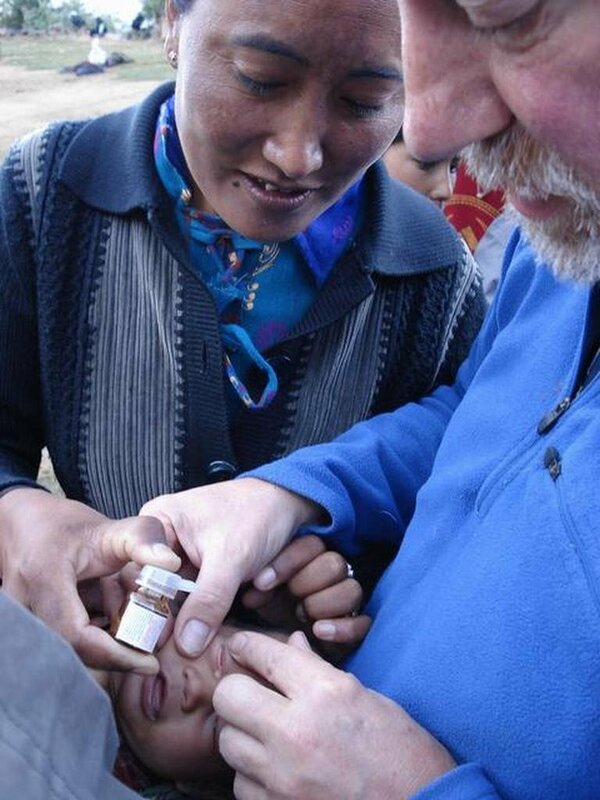 Donations to support the programme ensure that the health and wellbeing of those in one of the poorest and most remote parts of the world are catered for and these mountain people can look forward to a healthy and more productive future. Prajit Bohara, a government Health Assistant in Humla, remarks that many people remain sick due to a lack of services available. Traditional medicine is still the only real option for many and although it may help in some cases lack of basic knowledge is a major stumbling block. He remarks that many more health posts are needed so that already ill people do not have to walk for hours, sometimes days, to reach the nearest health facility. According to Prajit having a health/birthing centre has a positive impact on the community. It raises the status of the village and makes it more active. People become more educated and productive. The Trust is working with the local government and village communities to provide a working health system that meets local needs. Within the next five years we hope to be able to transfer full responsibility to local authorities but still be able to provide support and encouragement in this most remote and impoverished part of the world. 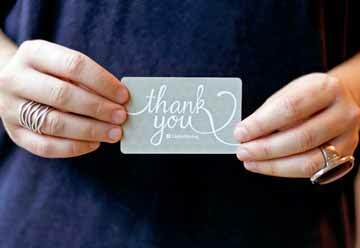 Many thanks for your support and interest and we hope you will continue to help when you can and tell your friends about us. This is not a project for the faint hearted but it is a lifesaver for many. Piplang - moving construction materials. Tumcha - Local health committee with Govt staff. As an INGO the Nepal Trust has strict Nepal government rules and regulations to follow. While sometimes feeling a bit bureaucratic it is sensible to ensure a coordinated approach that meets the needs of the country. The problems of such an ethnically diverse country spread over some of the most difficult terrain are immense. Remoteness is one and the ‘Hidden Himalayas” is typical with no roads or basic infrastructures to help services meet local needs. The Nepal Trust has just completed a 5year project cycle, and is about to start a new one. Before the old Project Agreement (PA) can be signed off, and a new one agreed, the government must conduct a Final Evaluation Report for submission to the Social Welfare Council (SWC). This has now been completed and accepted by the SWC with excellent results from our point of view. The following is a summary of its major findings. Overall, projects run by the Nepal Trust are found to be done very effectively and according to the approved project agreement and surveys. Constructed 8 Health Posts and Birthing Centres that have benefitted 31557 people. Constructed school infrastructures including main buildings, retaining walls, fencing, toilets, canteens, classrooms, furniture, school equipment and drinking water at 3 schools. Project donor funds have been utilized properly whereby all tax regulations have been followed. Internal management is good and the overall effectiveness of the project is very satisfactory. The project has achieved its targets, and appears to have exceeded overall targets that were set before launching the project. The project has focussed on community development programmes mentioned in the project agreement. The project interventions are low cost particularly in light of logistical constraints and the remoteness of the area, tangible benefits received by the beneficiaries in terms of increased education, sanitation, energy, development and health of the targeted communities as well as sustainable development. Considering the low cost for administration and project support it seems the Nepal Trust INGO has reached many beneficiaries through its projects. This also became very clear by the positive responses from government officials who supported the fact that activities had been implemented at low cost and had achieved good results. While implementing the ‘Community Health/Education, Sanitation and Livelihood Development Project’ coordination took place with the partner NGO, the communities and local authorities. Every year 2 meetings were conducted with the District Project Advisory Committee (DPAC) as well as various meetings with school management committees, health management committees, teacher/parent associations, local communities, electricity committees, tourism committees, journalists, political parties, government bodies, etc. The Nepal Trust involves local communities in its projects and encourages them to obtain local funding as part of their contribution. This ensures ownership of projects and motivation within communities to maintain their own assets and take care of projects that will ensure sustainability. Projects are handed over to existing community and user committees or those that are set up for the purpose. 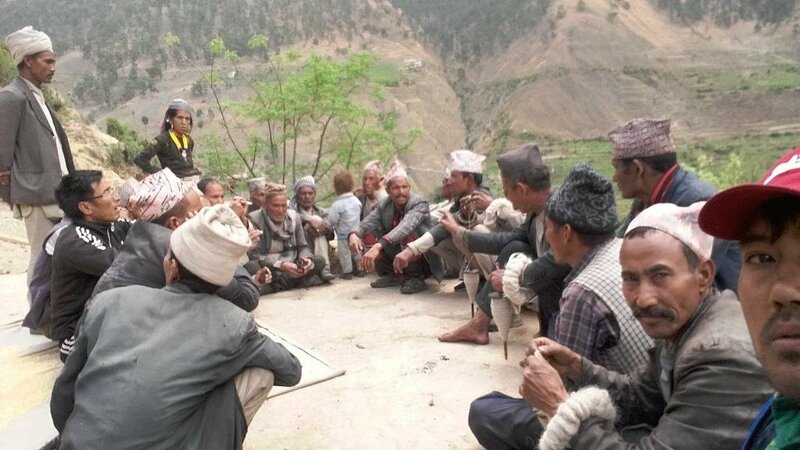 The Nepal Trust also facilitates communities in local grant writing, subsidy attainment, and creates linkages to local agencies and government bodies to achieve better local cooperation amongst stakeholders for the long-term. The Trust also works with more business like principles to get the best value for money in its projects and as there is a long-term commitment and plan to extend activities and work more closely with the government system so, therefore, the sustainability of this project is very good. Besides this there are some issues also. The evaluation team asked various beneficiaries about the project sustainability. According to the stakeholders there is not enough coordination between the local levels and related education offices about long-term support for the sustainability of the project. However, people hope that the programme will continue for many years to come to help them in their development for which people are willing to take an active and pro-active role in order to achieve this. Through active participation and, by linking to the government system, communities will be better enabled to sustain their projects in future themselves. For all project activities the respective beneficiaries were informed of project cost to serve the transparency issues. Social audits were conducted on site by local staff management. 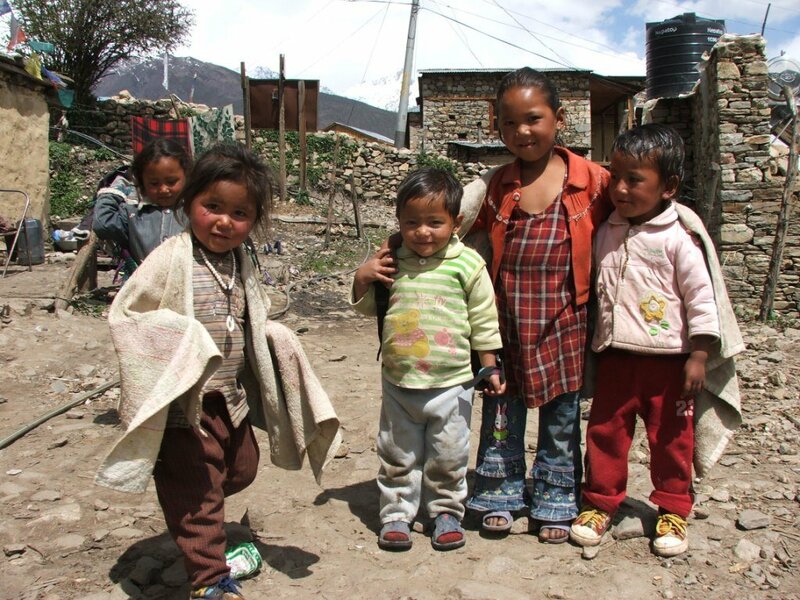 This project has been implemented in a very remote and impoverished part of Nepal’s Himalayas. The project has an opportunity to bring much needed change in Humla district. The project is benefitting deprived communities and addresses the problems faced by the mountain people by integrating education, energy, health and livelihood support in a great manner. The project runs in a very remote area where logistic constraints create problems at times for project implementation. There is no road connectivity and often electricity and communication facilities are lacking. Also villages are sometimes located many days walk away from each other and are very much scattered throughout the area.. Weather issues form another challenge. All these factors contribute to higher project costs and make it more difficult to manage projects by local staff. The logistical constraints and weather issues in the project area can create challenges for successful project implementation. 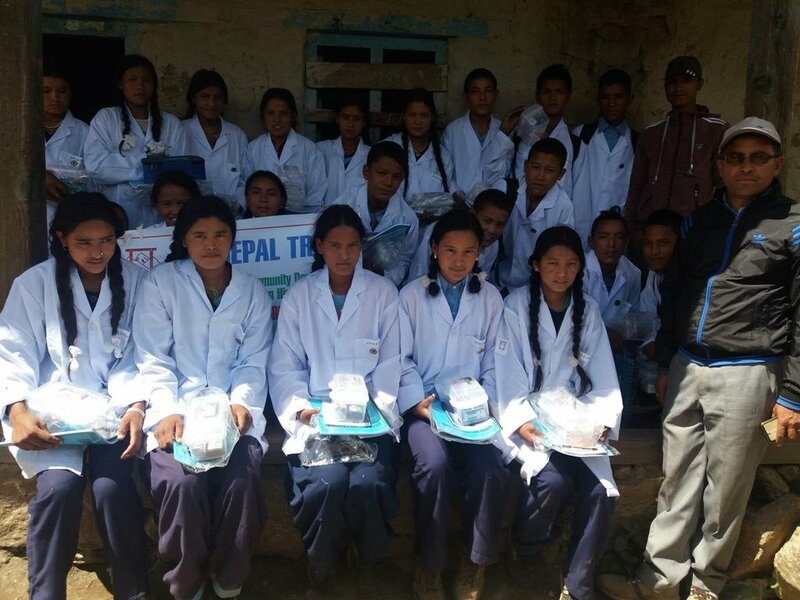 The Nepal Trust has exercised vigorously to improve the basic health and education of Humli people. It has constructed health facilities and supported basic medicines and medical equipment to many health posts. Moreover, the credit of school construction to make easy access to primary education for the people of Thehe VDC goes to this organisation. The Trust has played a crucial role to support the health and education sectors in helping to reduce the morbidity and mortality rates. Since the project aims to continue in future years more targeted output can be achieved. The overall performance and financial management of the Trust was found sound and in accordance with Nepal government financial rules and regulations. The financial statement was properly drawn up according to the general accounting principles. Internal control mechanisms were conducted in a sound manner. All the financial transactions and activities were in compliance with the general project agreement and tax laws. Internal auditing practice is applied. It helped to prepare accounts and to provide a true and fair procurement of goods. Tax is deposited directly to the Inland Revenue office within the time specified by the income tax act of 2058. Quotations, in writing, are collected from potential suppliers by the partner NGO. Overall effectiveness of the project is high considering the value for money achieved and by taking into account the difficult circumstances the organisation is working in. Overall performance of projects run by the Nepal Trust is found to be good and they have reached a significant number of beneficiaries and obtained the required project output. With the analysis and project visit made so far overall financial performance of the project is very satisfactory. Since the project is completed and aims to continue in future years, the targeted output has been achieved and can be increased in years to come. The overall performance and financial management of the Trust was found effective. The internal control mechanism was very good and solid and donors can be assured that project funds are spent properly. This audit report is an excellent independent commendation of our work under some very difficult logistical circumstances. The next 5year plan has been approved and will be reported on in future reports. In summary we will be carrying out the following projects under our ‘Health and Opportunity’ umbrella. We will build 3 new health clinics/birthing centres in south Humla, an area not yet well served by the current system. The clinics will be to approved government design under the control of the District Health Officer (DHO) at Maspur, Tumcha, and Piplang and will serve a population of 12500 people. We will continue to support 4 existing clinics and 3 birthing centres. 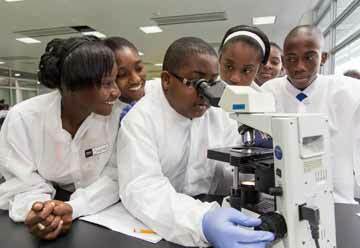 We will deliver 4 Little Doctors training courses per annum at Secondary schools in Simikot, Sarkegad, Thehe and Bargaun. In collaboration with the DHO we will deliver, each year, maternal health training in Yari, Bargaun and Sarkegad. We will continue to promote and develop renewable energy projects in the district through our innovative Renewable Energy Service centre. To all our donors and supporters I would like to thank you for your support and I hope that the results make you happy and satisfied that your donations have not been wasted. I hope you will continue to help in whatever way you can and please tell your friends. Pass on the good news. Twenty five years ago healthcare in the remote areas of the Nepal Himalayas was very limited or non-existent. To reach a functioning health post or hospital may have involved a walk of many days and, with a debilitating illness or a family member to carry, this was impossible for many. Humla, the district the Nepal Trust chose to work in, is officially Nepal’s remotest and is referred to as the ‘Hidden Himalayas’. Access is only by light aircraft at great cost or a 10 day trek from the nearest road-head. 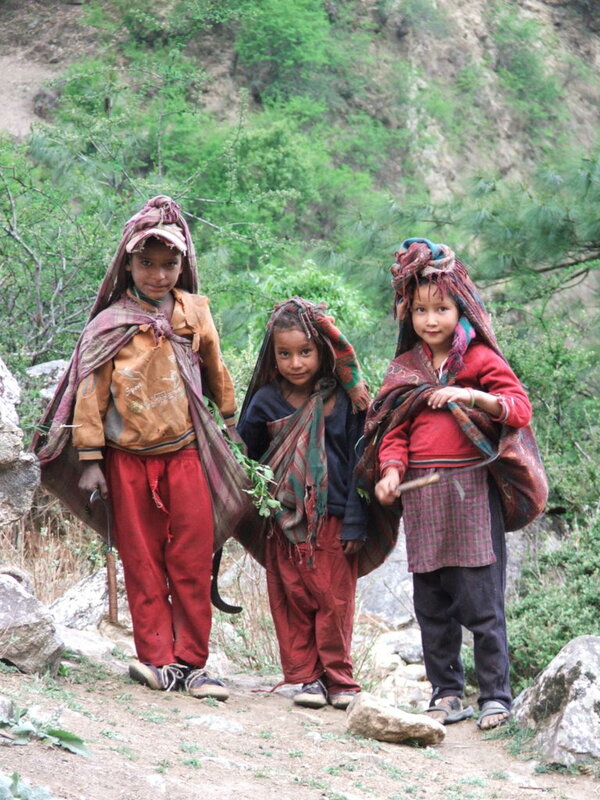 It is little wonder that Humla has the worst child and maternal health records in Nepal. 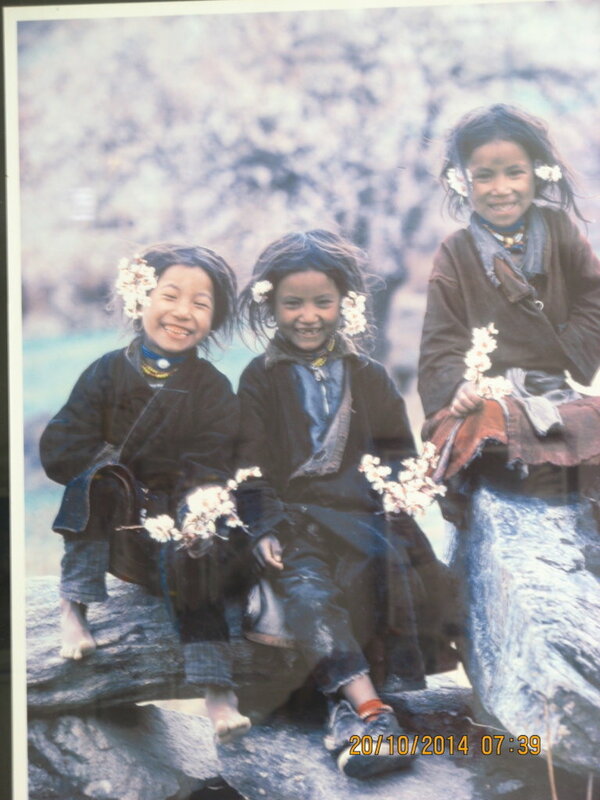 In 1993 a young women from Humla – the first female from her community to achieve her School Leaving Certificate – approached two young British doctors and persuaded them to set up a health clinic in her village. The only suitable premises were in a small room in the local school. The doctors quickly realised this was not a suitable arrangement and approached the Nepal Trust to build a stand- alone clinic. This was agreed and a year later the Torpa clinic was operating and attracting patients from all over the district, sometimes from many days walk a way. In those days government clinics simply did not work and the local hospital in Simikot was little more than a glorified cattle shed. Our first health project was immensely successful and our first Trek2Build was born! Since then the Trust has gone on to build 6 health posts and 3 birthing centres and we have contributed to improving the local hospital. One of our early nursing volunteers is remembered throughout the district with great affection by village people and some children have been named after her. In 1996 a civil war erupted in Nepal and lasted for 10 years. The remoter western districts became hotbeds of Maoist resistance and central government had little influence or support outside the district centres. All government departments were removed for safety and most aid agencies had to leave. Those that remained were vetted by the Maoists and only allowed to continue working if considered to be genuinely supportive and produced what they had promised. 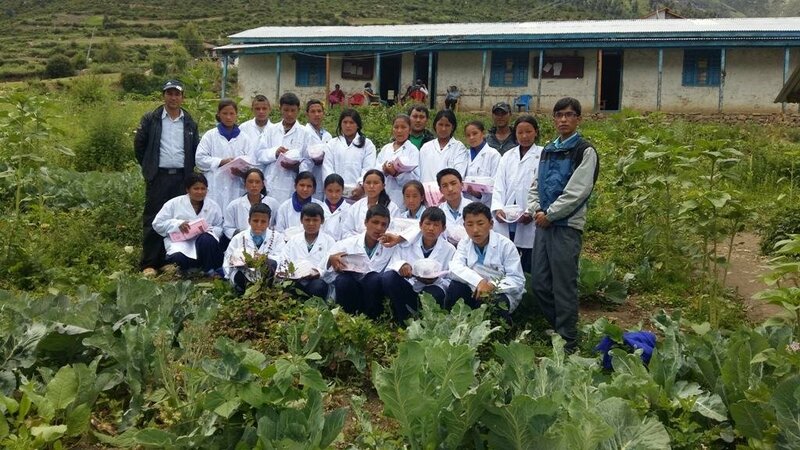 The Nepal Trust was allowed to remain without too many problems and we continued our health post construction programme and expanded our health education training. Our very first health post at Torpa was trashed during this time but we went back later and rebuilt it. We ran a number of health camps in Simikot during this period supported by Nepali and foreign professionals. These camps highlighted the desperate need for reliable medical healthcare in these remote regions. 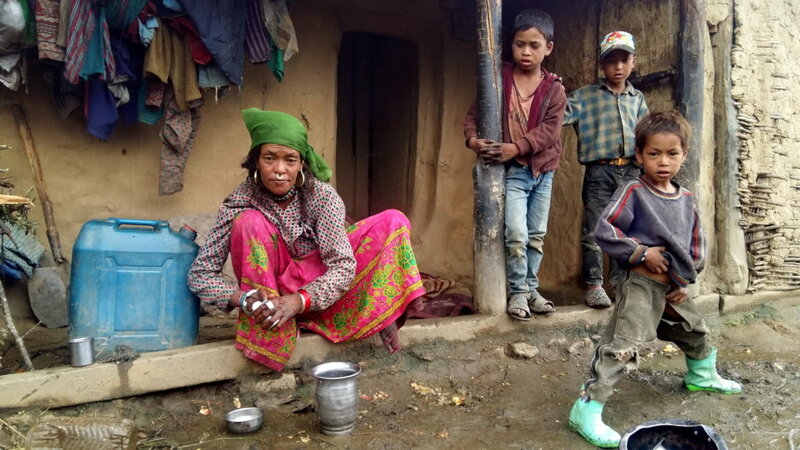 Hari Bahadur Shaji with his wife and young son trekked for 7 days to reach the health camp. Sadly his son died before they reached help, delayed by Maoist insurgents who controlled the entire district of Humla outside Simikot. Three of Hari’s four children had now died. Six year old Rhita was carried in severe pain and discomfort on her father’s back from the village of Mailla a good six day walk to the health camp. She was diagnosed with a bladder problem that required an operation. Rhita was flown to Nepalganj and was successfully treated. It was her first sight of a motor car and her first flight in a plane! 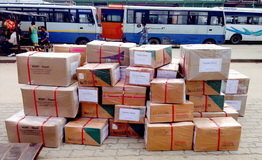 These are just a couple of examples of the need for a reliable healthcare service in the Hidden Himalayas. Although health and medical facilities have improved immensely since those days the difficulties of trying to operate in such a remote area with hardly any of the infrastructures we are accustomed to makes it difficult to reach help quickly. However, there is now clear evidence that general health is improving mainly through our health education programmes like Little Doctors and maternal health. Stomach and respiratory diseases have decreased significantly as basic personal health knowledge increases. 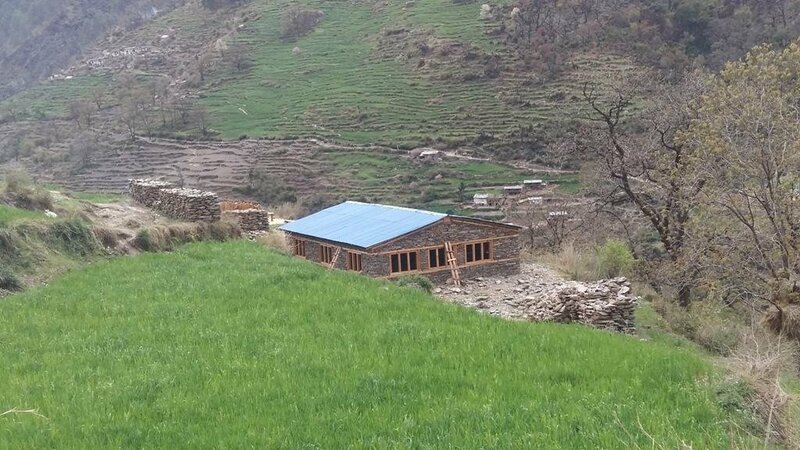 Our future 5 year plan, now going through final agreement with the government, includes the construction of 3 new health clinics/birthing centres in south Humla as per government approved design. We will continue to support our existing health/birthing centres and support our child health education programme (80 students per year) and maternal health education programme (150 women per year). All will be delivered through our local partner, Self Help Promotion Centre-Nepal (SHIP) in full collaboration with the Humla District Health Officer. We continue to provide new opportunities through education and providing services. Our renewable energy programme expands and helps to provide new economic opportunities and cleaner and healthier homes and workplaces. Agricultural opportunities are developing rapidly as we demonstrate new methods and ideas. Tourism is expanding rapidly as the ‘Gateway to Mount Kailash’ attracts more and more tourists. Our tourism training and development support has produced dividends. We will continue to support school development and expansion where needed in the district. This is a very brief summary of where we are today. Much has been achieved over 25 years but there is so much more to do. There is a light at the end of the tunnel as self- sufficiency draws closer but that is still some way off. We thank you for all your past and continued support. Please continue to help if you can and do tell your friends about us. I know the world seems to be full of disasters asking for your help and we all feel we must do something, but the remote corners like the Hidden Himalayas tend to get forgotten. There is a real need to save these beautiful but fragile parts of the world. 6 Kermi Health Post with local committee. Volunteer nurse 'Janet' training and mentoring. Keri Health post and local committee. 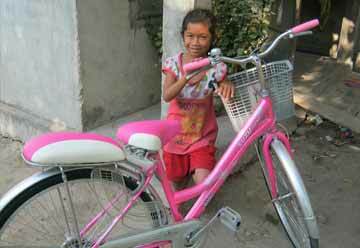 In 2000 the Regional Health Director for the Mid-West of Nepal developed an innovative health programme for children. Little Doctors (LD) teaches basic health concepts to children who then pass these lessons to family members and friends. The idea was very simple but also very effective. Results since have demonstrated how effective the idea is. Between 2014 and 2016 the incidence of respiratory and stomach complaints more than halved. At a time when skilled staff and resources were very limited and it was impossible to rollout this idea throughout the region the Nepal Trust agreed to take on the responsibility in our main target area, the district of Humla. This district is very remote and impoverished with no road connections and very limited infrastructure. It is one of the poorest districts in Nepal and, by definition, one of the poorest areas in the world. The programme has expanded over the years and we now run four courses a year; each catering for 20 plus students from 11 years to 16 years of age. This initiative combined with our other project areas like renewable energy, smokeless stoves and economic opportunities have had an enormous beneficial impact on the health and wellbeing of the local populations. Each course costs £1500 to run and lasts for 4 months usually on a Friday and Saturday mornings. Each course is led by trained local health workers and their own schoolteachers who they are already familiar with. Health education is clearly important and an effective way of changing old mind-sets that do not fully understand how the body works. Likewise, maternal health education is of the utmost importance. This programme is being expanded to all of our health clinics and is beginning to show results particularly amongst the younger generations who, perhaps, studied Little Doctors in the past. Future reports will expand on this theme. 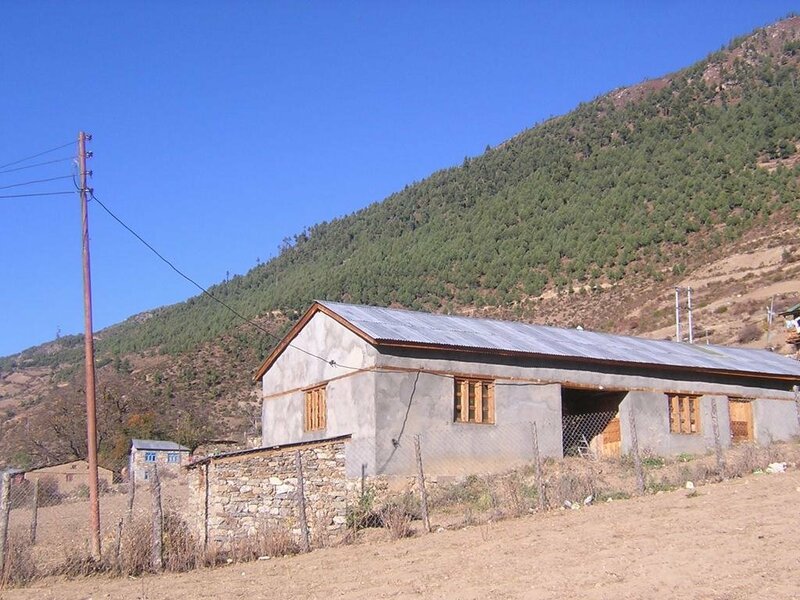 Plans are now well underway to build three new Birthing Centres/Clinics in South Humla at Maspur, Tumcha and Piplang. This initiative is in full consultation with the District Health Officer (DHO) and will benefit about 37000 people. Progress will be included in future reports. Thank you all for your support and encouragement. We hope you will continue to help in whatever way you can. This is a project that has a major impact on people’s lives and helps to ensure that the future is healthier and opportunity is around the corner. This year is the 25th anniversary of the birth of the Nepal Trust. The years have flown by and we have achieved so much in that time. 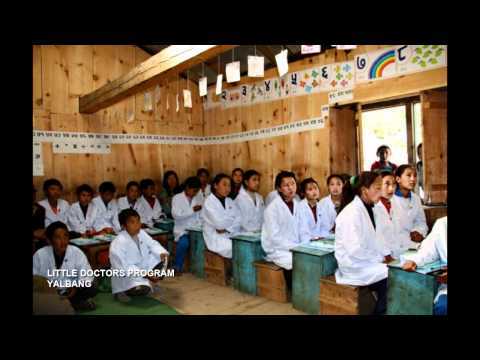 It all started when a young woman from Humla, in the far northwest of Nepal, requested that we build a health clinic. 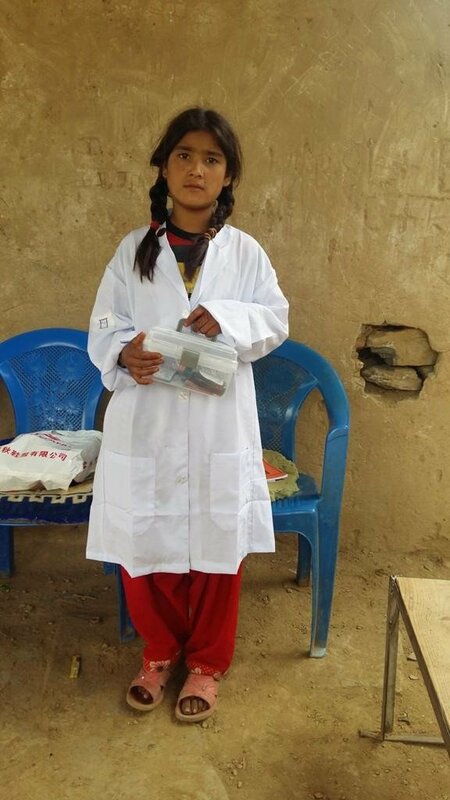 Previously she had persuaded two young British doctors to go to Humla and run a clinic. It was run from a small room in the local school and was unsatisfactory from an operational and hygiene point of view. 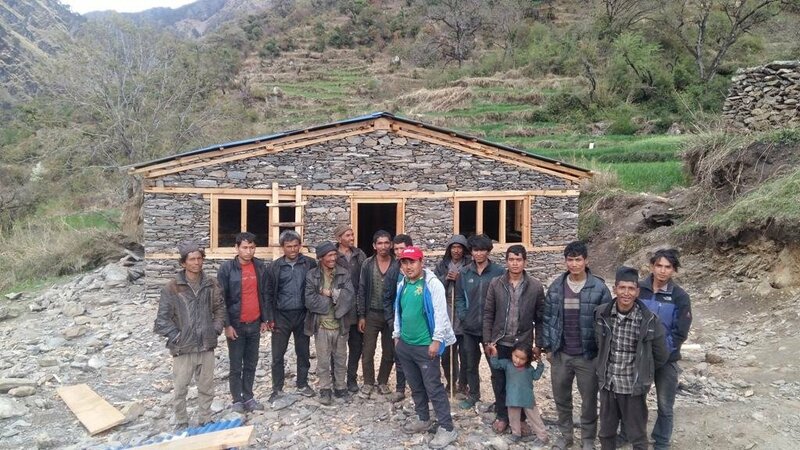 Within 18 months the funds had been raised and a small group of paying trekkers were on their way to help build the clinic. 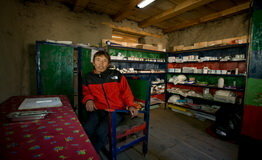 Our first Trek-2-Build was established and a brand new clinic in the village of Torpa was built. It quickly became widely known and villagers trekked from miles around to use its services. Unfortunately the clinic was destroyed in the subsequent civil war, our only one to be damaged in this way. In recent years we have rebuilt it and it is back better than ever. However, demographics have changed and the clinic is closely linked to a government clinic in the neighbouring village of Bargaun and our new Birthing Centre in the same village. Torpa will remain as a working symbol of our original foundation but its role will adapt to meet everchanging requirements. What about the future? Like all INGOs in Nepal the Trust is required to submit 5 year plans to the government for approval. It is a time consuming business but necessary to produce a coordinated approach that will be in harmony with national needs and improve the lives of the people of the Hidden Himalayas. Over the last 25 years the Trust has built 6 Health Posts, 3 Birthing Centres and helped to improve the District hospital. We have organised 4 major Health Camps attracting patients from all over the district - some many days walk away. Maternal and child health education has been at the forefront of our work to help raise health awareness and knowledge of how to deal with everyday issues. Water supply and sanitation projects have benefitted over 30000 people and helped to improve living conditions and personal health. Our investment in renewable energy resources; 7 micro-hydro schemes, 11 community solar projects and a Renewable Energy Service centre have contributed to healthier living conditions and lifestyles. Our focus on opportunities has improved agricultural productivity and helped to create many tourism related and hospitality projects including helping to establish the world's greatest trekking trail. Food Security and Agricultural Development. Renewable Energy and Climate Change. 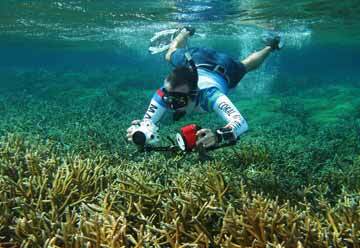 Sustainable Tourism and Social Enterprise Development. 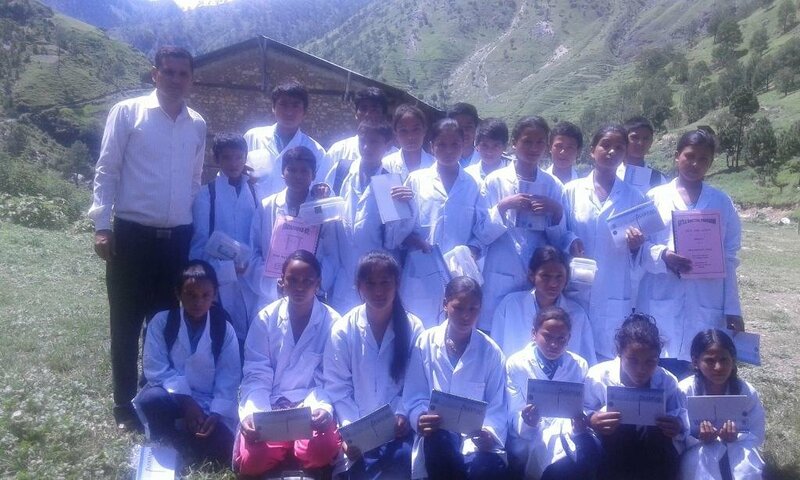 This project 'Healthcare and Opportunity' will continue to focus on primary healthcare and education in Humla. Three new Clinics and Birthing Centres are at an advanced stage of planning and collaboration with the government and the local DHO. The project will cover remote areas of south Humla currently with very poor or limited services. Our very successful child health education project (Little Doctors) will expand as will maternal health education. Opportunities will improve as we develop our ever expanding school building programme and provide help to support agricultural and tourism projects. We will focus on expanding renewable energy support with an emphasis on our innovative and unique Renewable Energy Service Centre. I hope this gives you a feeling for what we have achieved over 25 years in one of the most remote and forgotten corners of the world. Also what we hope to achieve for the future in an area where the need seems to be limitless. Of course, we could have achieved nothing without your help and support. I hope you will continue with us and do let your friends and neighbours know about us.